difficult thing to manage with dignity). 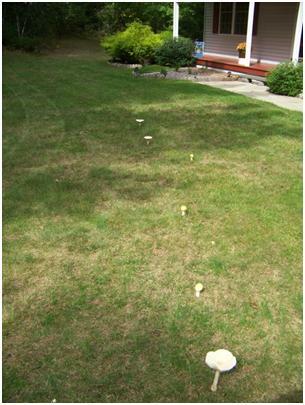 One woman was in a bank lobby when her fungal frenzy commenced. After the bank employees unlocked three sets of doors she was finally granted access to the highly guarded comfort station just in the nick of time. 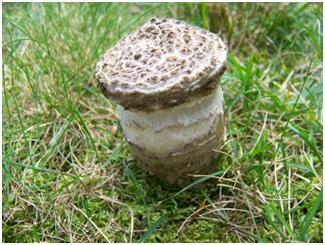 colors, speckles, and persistent annulus (ring around the stalk) are usually enough to warn away the cautious. 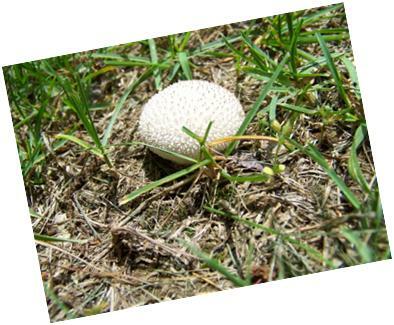 All of these and others have appeared in my yard, mostly unnoticed by the casual passerby. 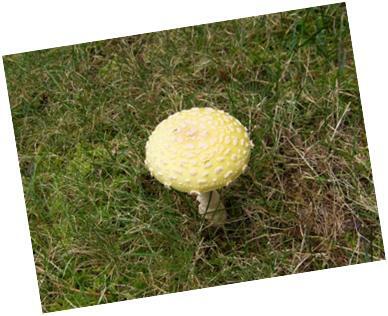 An Amanita on the left (quite deadly) and a puffball below (very edible). Of course, there is no good reason to overlook my garden, other than the fact that it was declared a disaster area by the FDA. It seems that I miscalculated the amount of sun that would fall on my chosen plot. The result was stunted or entirely nonproductive plants. 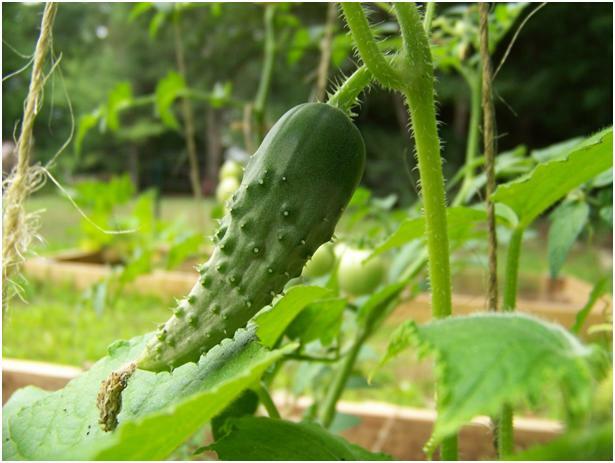 Cucumbers that were supposed to be 10” long were stretching to achieve a maximum length of about 4.5”. They still did present a photographic opportunity. All of my cucumber vines were suspended from above to avoid any problem caused by contact with the ground. They were also fed and watered well. The photograph shows you what I got. Each one was worth two bites in a fresh salad. Maybe next time I will grow pickles … small pickles. 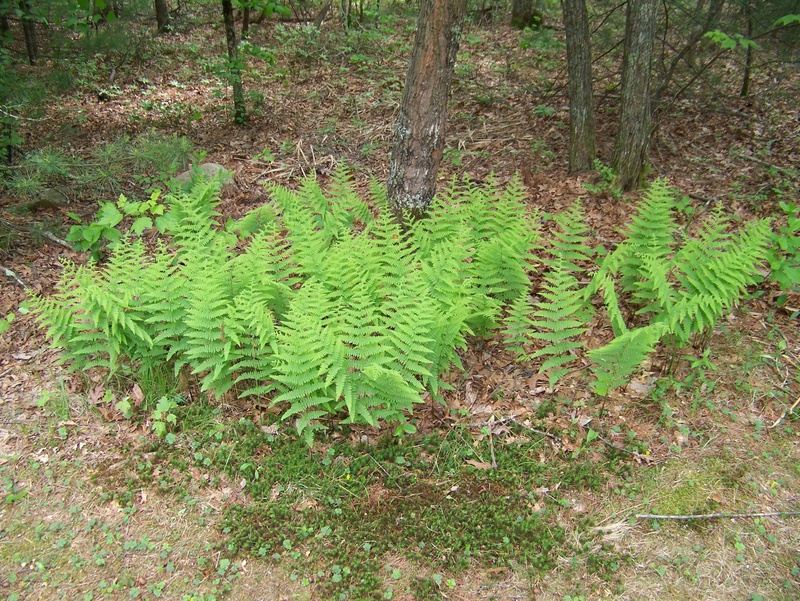 Most people would like to have ferns in their gardens, but they are often difficult to grow. It requires the right amount of moisture and shade. If you are lucky they will appear all on their own, as they do in our yard. Our yard is just a little extension of the surrounding forest and as such it reflects what grows there. photograph for this short guide to the yard flora in Hope Valley. Next time around I’ll display some of the animals that visit our area … I will even try to post some of the strange sounds they make at night. 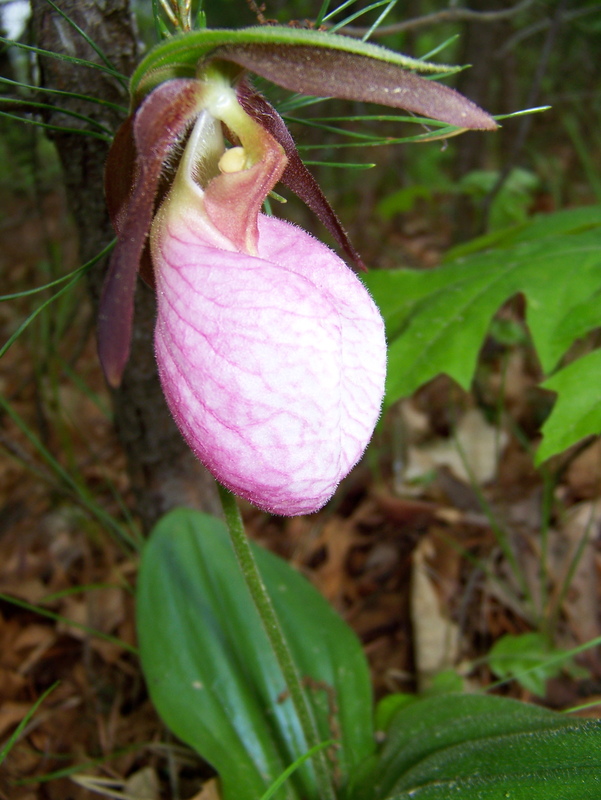 This entry was posted in Nature: Plants and Animals, Backyard, Woods, and River, Occasional Commentary and tagged backyard, ferns, flora, flowers, fungi, garden, Island, mushrooms, nature, Rhode, RI. Bookmark the permalink.